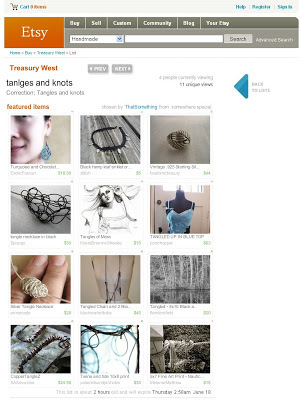 My silver tangle necklace is featured in a treasury on Etsy today! Third down on the left. Previous post: New products, lower prices!